US economists are updating the prognosis for economic growth during the first quarter. According to the latest reports, the figure now stands at 1.5%. The financial sector appears to be getting more hopeful about the future. The economic mood in America is finally starting to shift after the rocky start of 2019. A wide range of factors went into consideration when revising the tracking forecast of the economy’s growth. Construction spending, retail sales, business inventories, and other data were analyzed together within the economic framework which led to improved moods about what the first quarter has in store. One of the main drivings forces behind the pessimistic first-quarter forecasts at the beginning of the year was the catastrophic winter weather and the issue of the government shutdown that left some 800,000 federal employees without a paycheck as the year started out. The Federal Reserve was lacking key data because of the shutdown. Almost all branches of government were adversely affected by the month-long crisis. The shutdown that began at the end of December in 2018 over President Trump’s demands to fund the building of a border wall with Mexico lasted for over a month and will enter the history books as the longest government shutdown in United States history. The economic forecast at the time, understandably, was not full of misplaced optimism. Things were looking pretty gloomy at that point. Even though according to various polls, apparently the majority of America thought that president Trump’s demands were worth the trouble that the shutdown represented. However, now the Atlanta Federal Reserve growth rate stands at 2.1% for the first quarter of 2019. This is quite a significant change of events over the course of a single week. Just 7 days ago, the projected Fed GDP forecast stood at 1,7%. The Atlanta Federal Reserve was actually one of the most pessimistic financial institutions in the country before this. Their growth rate forecast last month stood at a measly 0.3%. The latest developments have evidently changed the hearts of Atlanta Fed analysts for the better. “Reflecting the upward revisions to retail sales, and faster-than-expected construction spending and business inventories, we boosted our Q1 GDP tracking estimate by four-tenths to 1.2 per cent,” Goldman Sachs reports. The economy experts over at JP Morgan have a positive view of the future as well. Even though the investors are still worried about the slowdown of the US economic growth rate, most experts theorize that the situation is not quite as bad as some of the louder voices in the government are suggesting. Despite the latest calls for by some economic experts and the White House chief economic advisor (insert name) to cut the interest rates by 50 basis points, most of the industry experts are not convinced. They believe that the recession threat rhetoric is purposefully taunted around and that the actual statistical data shows that the situation in the US is not as dire as some economists want us to think. 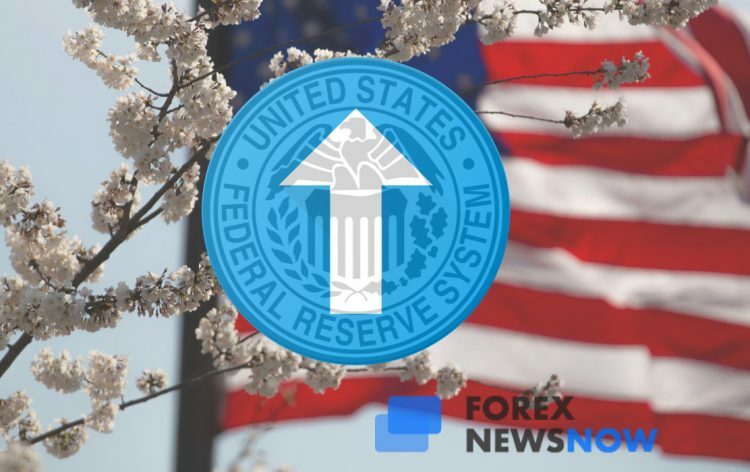 The experts still believe that the slow pace of the economy might see the Fed go through with the slashing of the interest rates in 2019, but they maintain that as of today, the situation does not call for such measures. The Federal Reserve itself has not promised interest rate cuts, in fact, they appear to think that the rates need to be maintained steadily. They did not cut the interest at the end of last year either. Yet, the voices calling for the cuts are growing ever-so vocal. Among the more positive developments, construction spending actually increased by a whole per cent over the month of February and hit the highest figure in 9 months. Retail sales decreased by 0.2%, but the sales in January were projected to go up to 0.7%, up of 0.2%. JP Morgan experts believe that the January reporting for the business inventory was higher than projected because the stock was being built back up. This development caused the inventories to rise by 0.8% margin in the first month of 2019, while the data from December 2018 was edited to reflect a 0.8% gain. It appears that the financial market managed to recover as well after the beginning of the year brought some damning developments with it. There are other factors as well that are contributing to this positive mood. The positive reports regarding manufacturing in China further boosted the markets on Monday and the US ISM manufacturing index of factory activity rose to 55.3. An increase of 1.1, after the index was set at 54.2 last month. Not only that, but the new employment report that was unveiled on Friday is now predicting 170,000 new jobs in the country. This is a giant leap forward from February’s numbers which projected a humble 20,000 increase in jobs to be added. If the trend continues, we might see an even more optimistic prognosis in March.